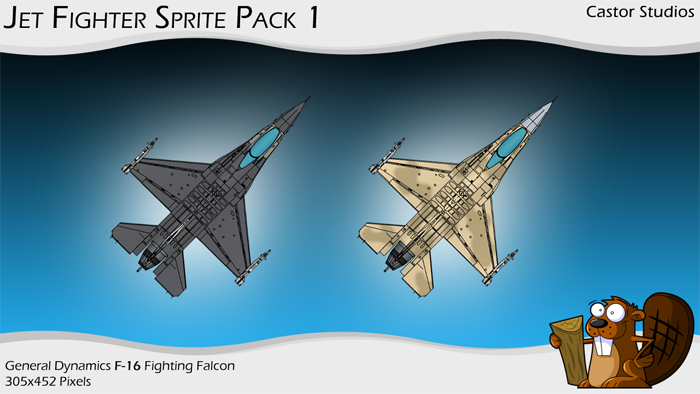 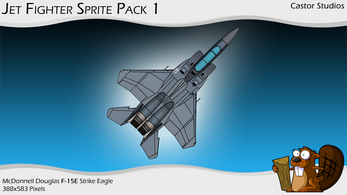 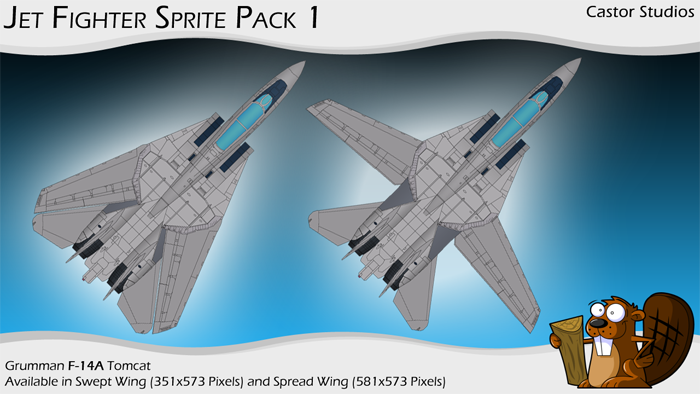 Go and be a Top Gun with Castor Studios "Jet Fighter Sprite Pack 1", a collection of 6 high quality American fourth generation fighter jets. 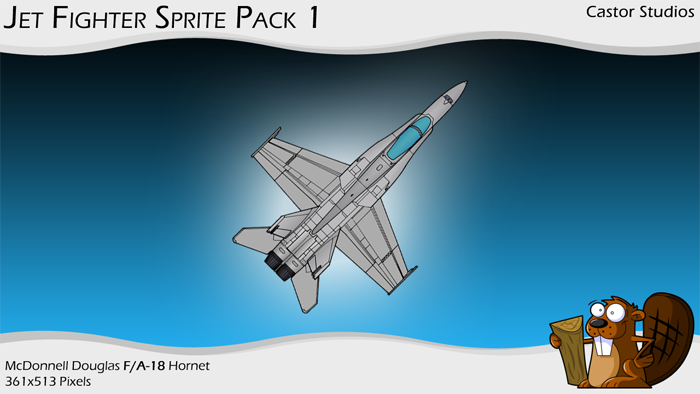 The large dimension of the sprites provides plenty of detail and will allow you the flexibility to scale down to the exact size you need for your project. All aircraft included in this pack are drawn to scale.